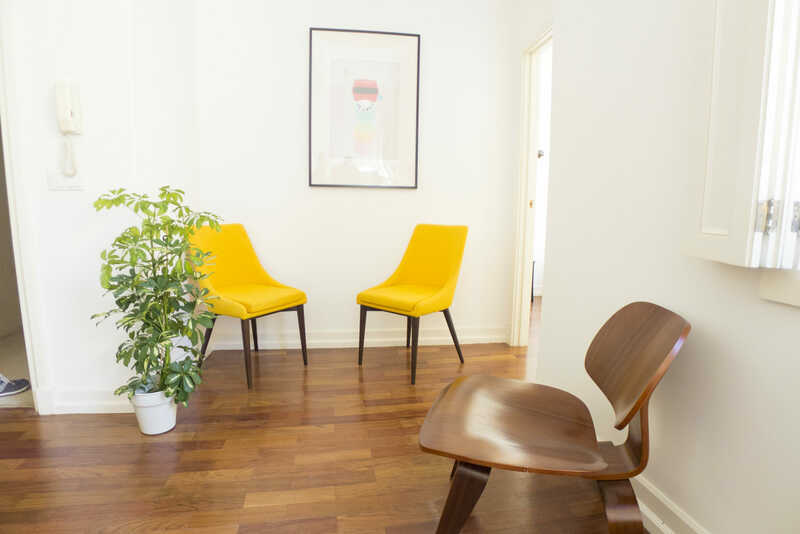 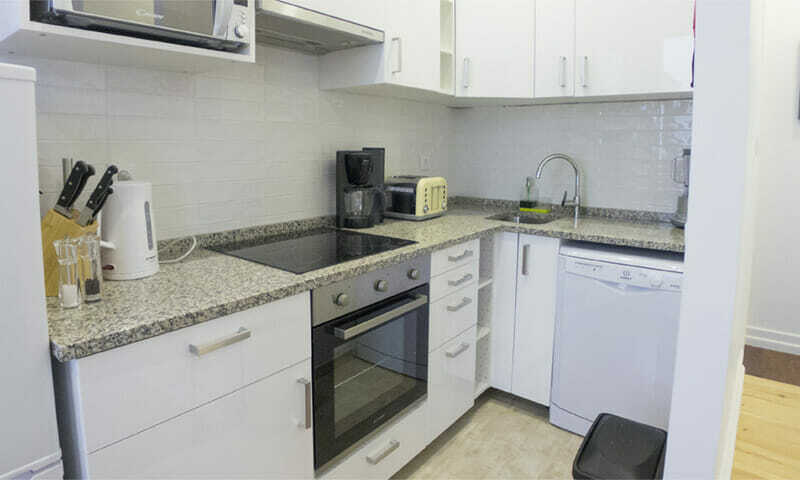 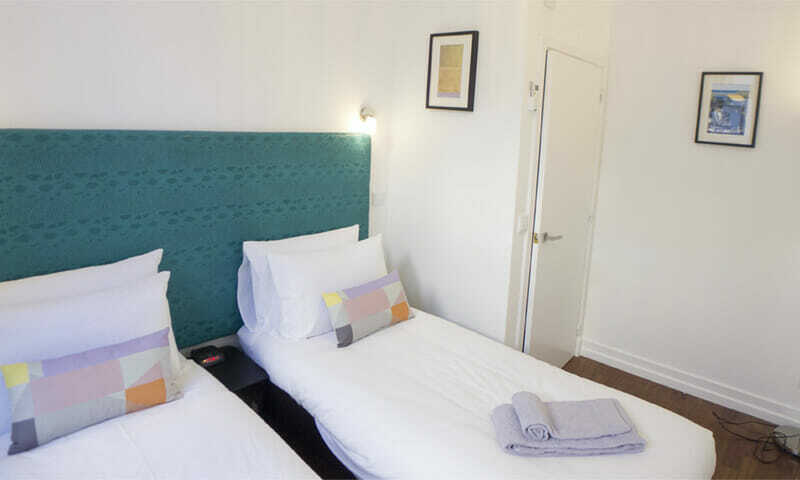 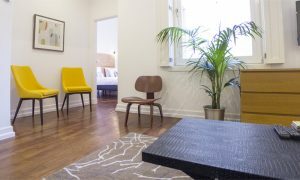 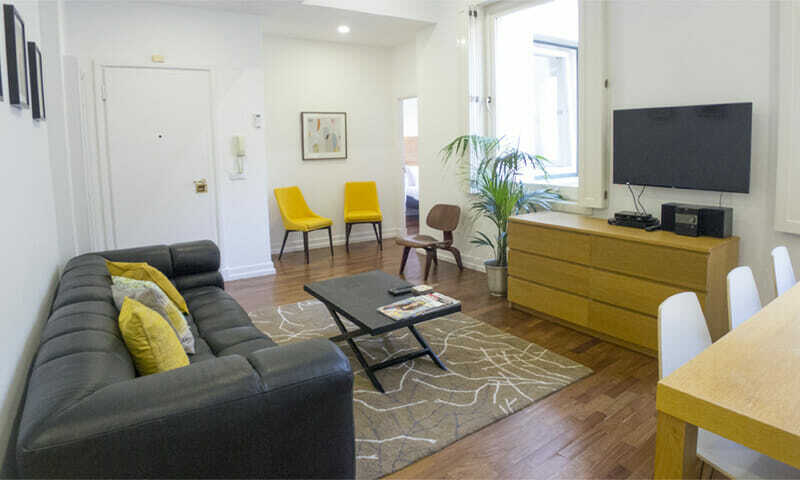 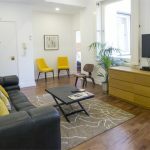 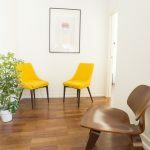 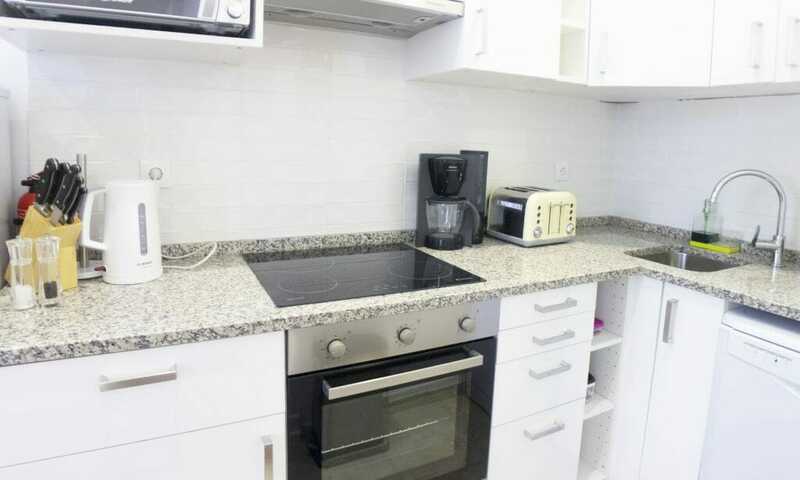 LV Premier Chiado Apartments CH5, is a recently remodeled 3 bedroom and 2 bathroom apartment, is very modern, and comfortable and perfect address for a family or group of up to 7 people (6 of which sleeping in bedrooms and 1 in sofa bed). 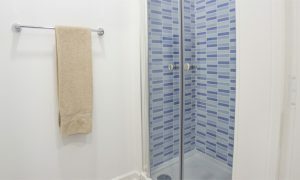 Featuring a bright spacious living room with a fully equipped kitchenette, leading to the bedrooms and bathrooms area, this vacation rental provides privacy but invites interaction in the common areas. 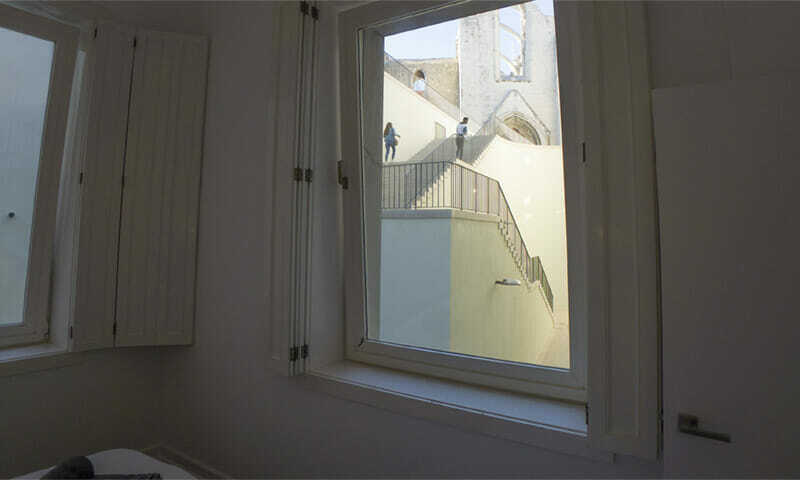 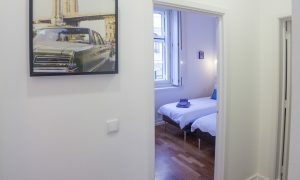 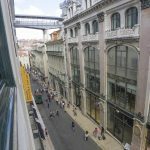 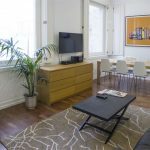 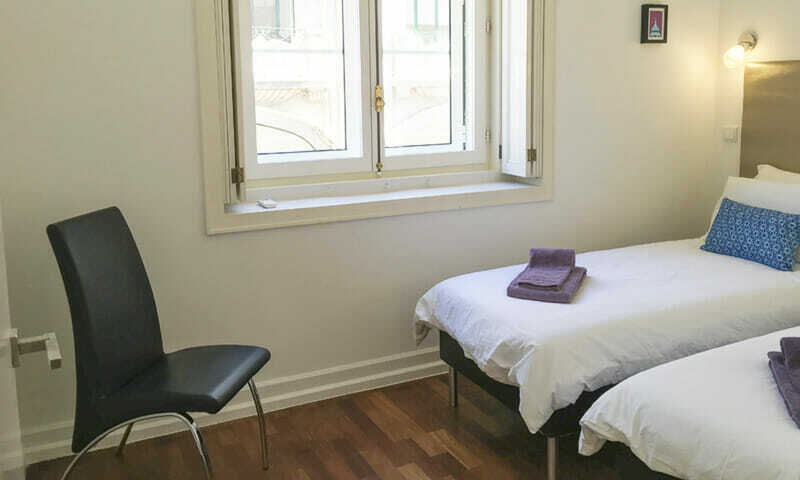 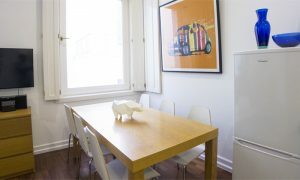 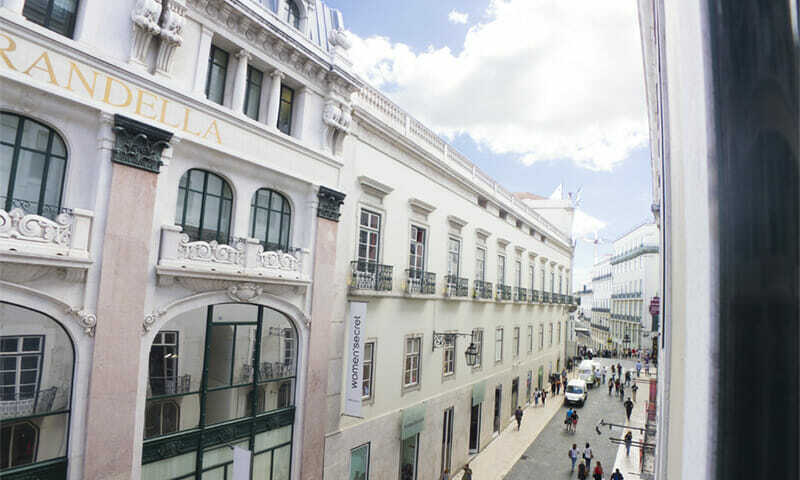 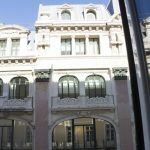 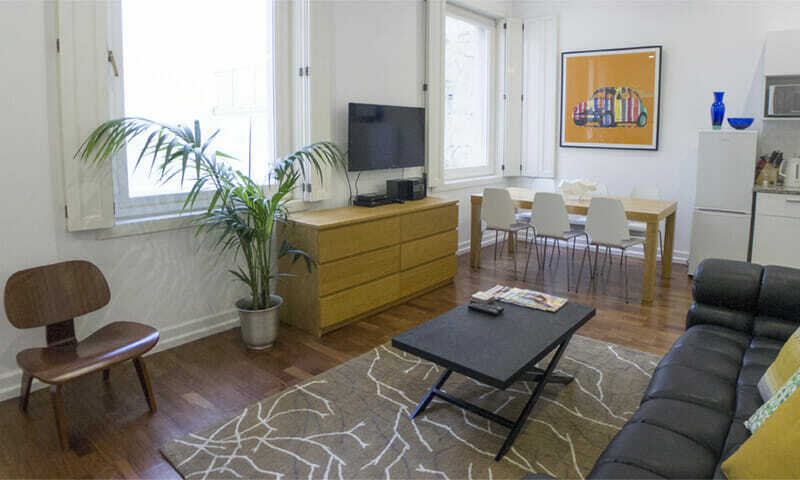 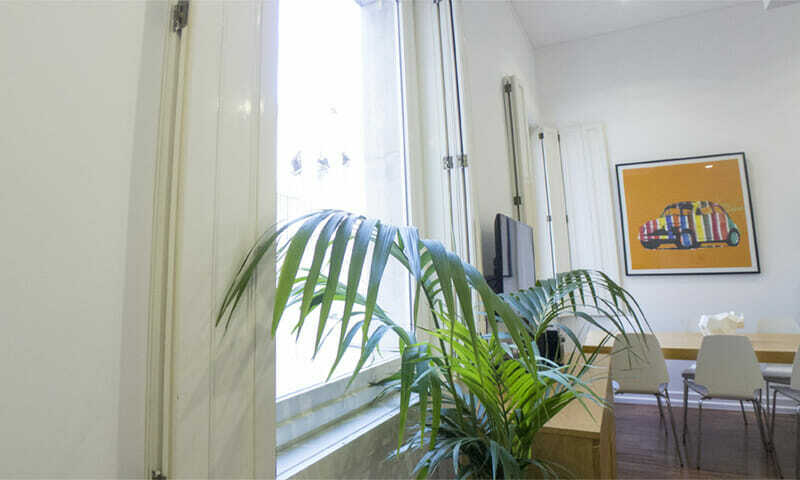 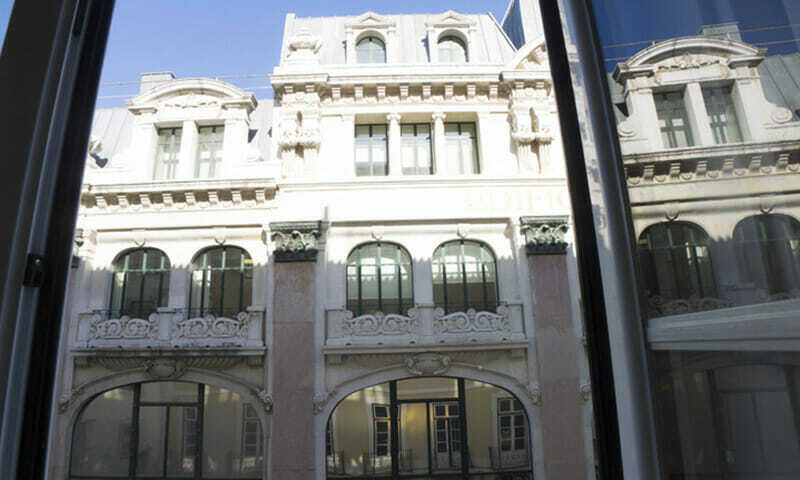 Like its sister apartments, LV Premier Chiado CH5 has very high ceilings and sizeable windows facing either Rua do Carmo, Armazéns do Chiado and elevador de Santa Justa, or the Convento do Carmo museum and ruins right in front. With an unrivaled location, easy access to all amenities, restaurants, attractions, theaters and shops, CH5 is another sought after LV Premier apartment. 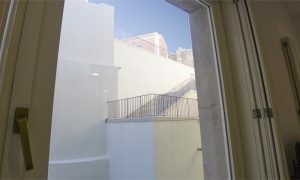 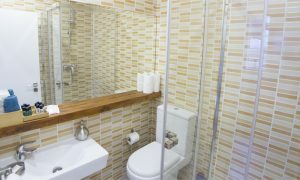 In addition to the 2 elevators in the building, the apartments are equipped with AC, heating and double-glazing windows.  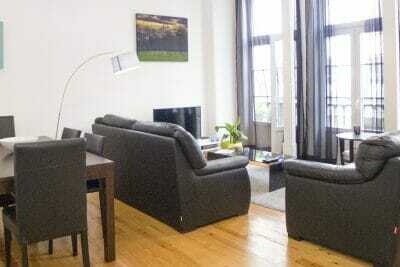 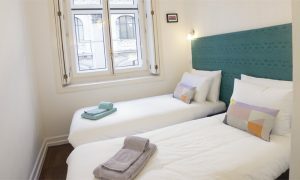 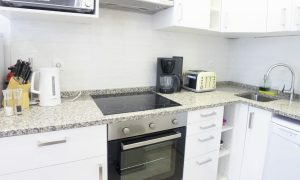 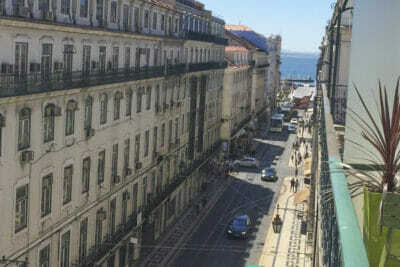 LV Premier Chiado Apartments CH5 has 3 double bedrooms, all prepared with single beds (king on request). 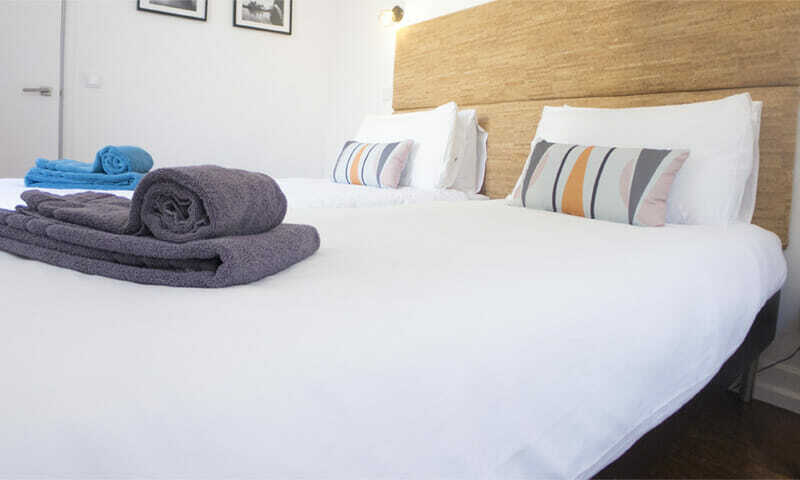 This bright vacation rental apartment features our signature LV Premier beds, crispy linen, soft comforters and brand new mattresses. The living area has high ceilings, kitchenette, dinning area and a seating area equipped with large TV and large windows. 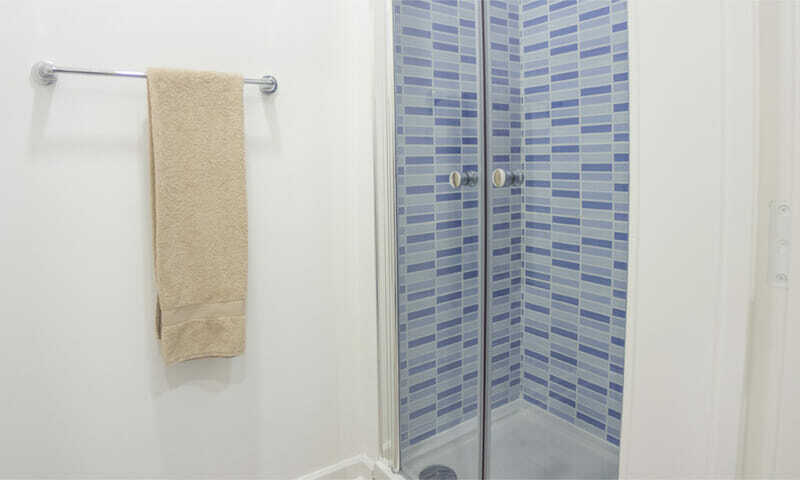 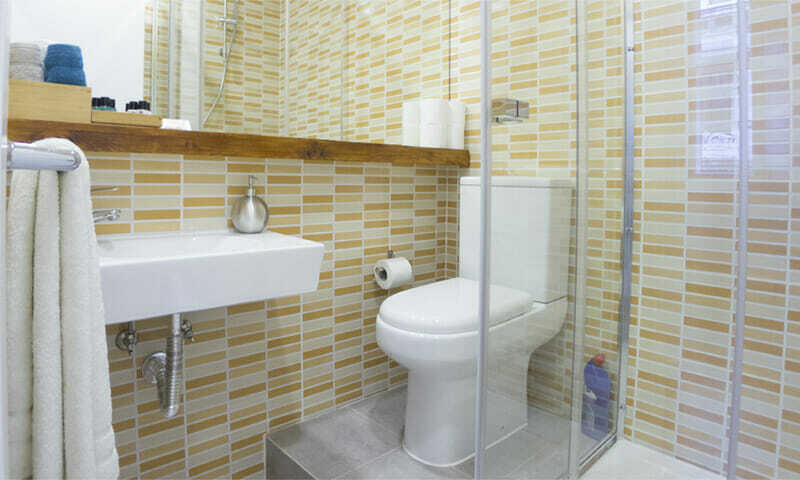 Both bathrooms have a shower enclosure. 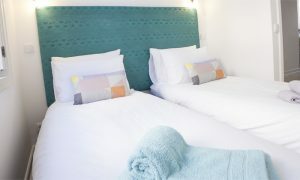 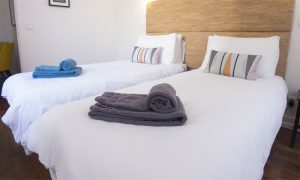 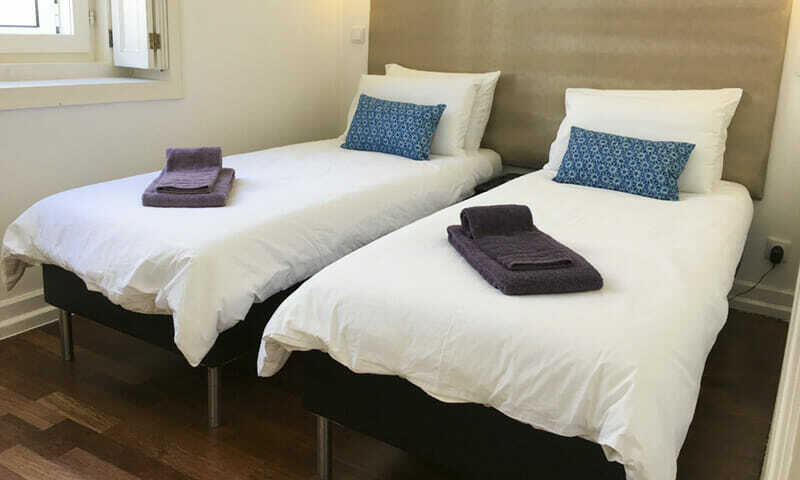 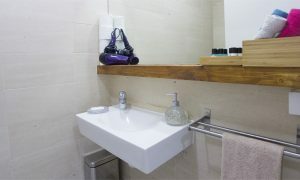 We provide soft bath towels, toiletries for your first day and of course a hair dryer as a standard. 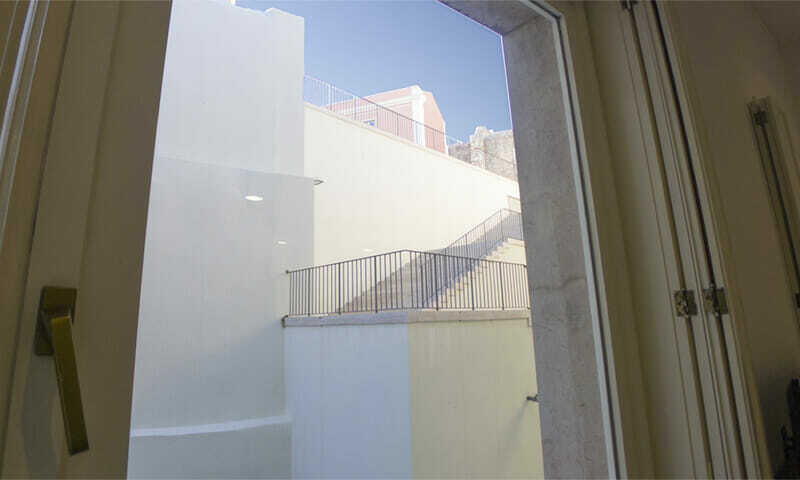 The building was designed by the Portuguese award-winning architect Siza Vieira. 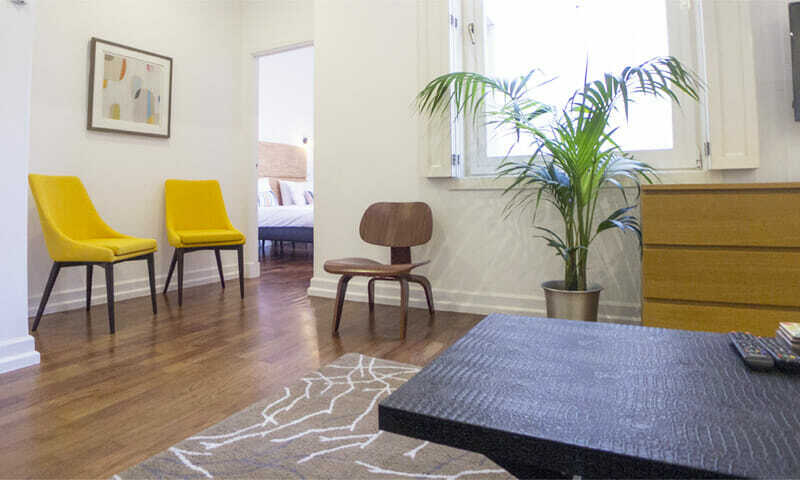 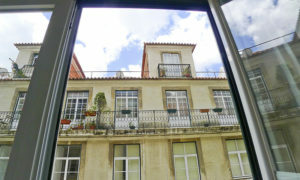 It features a traditional facade, and a modernistic back wall facing the Jardins do Carmo. The apartment features AC and heating. 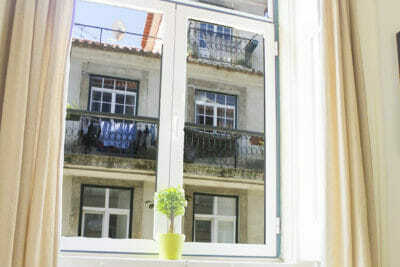 Chiado is the most sought after area of Lisbon. 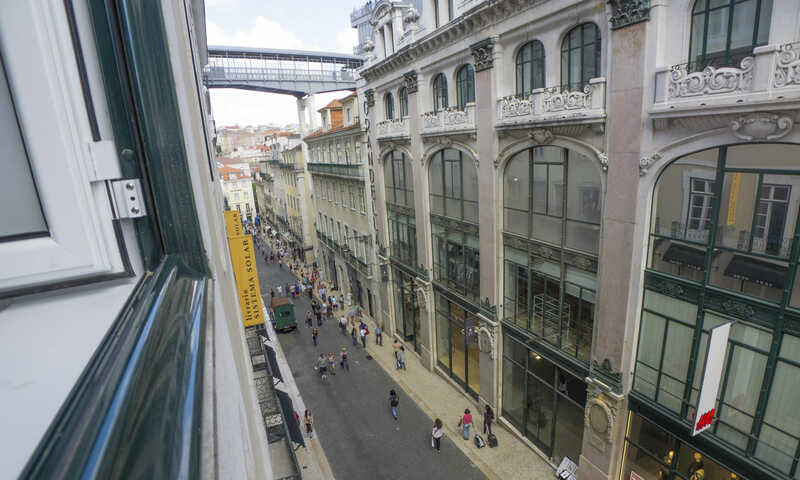 Halfway between the historic neighborhoods of Baixa and Bairro Alto, this is where many high-end shops and restaurants, cafes and other business choose to locate – with Lisbonites and visitors being unable to resist its charm. 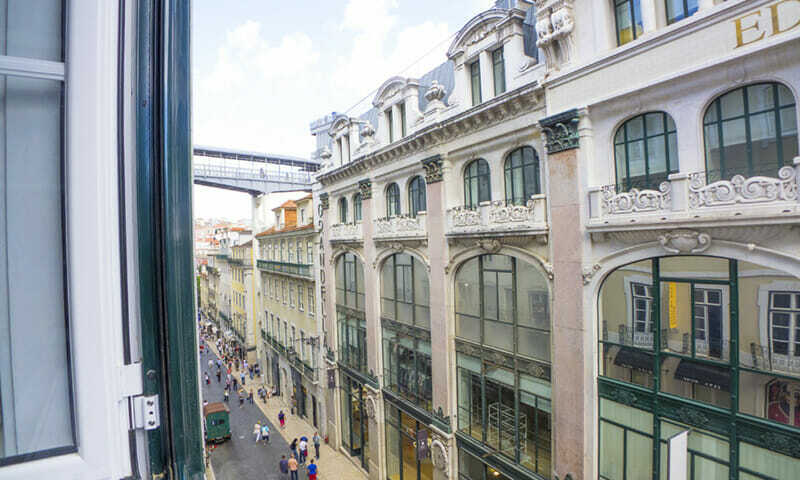 Chiado is a major transportation interface with buses, metro, taxis, pedicabs, as well as close proximity to railway and river crossing transportation. 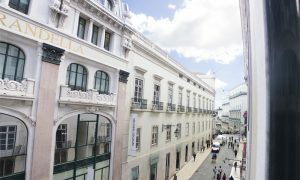 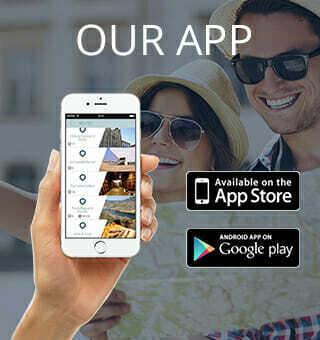 You can discover most of Lisbon’s old city attractions on foot – the large Plazas – Praça da Figueira, Comércio and Rossio, and the traditional neighborhoods of Bairro Alto and Alfama very close by. 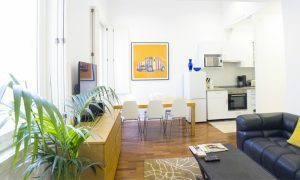 The modern new city with Parque das Nações and Oceanário are a short metro ride away. 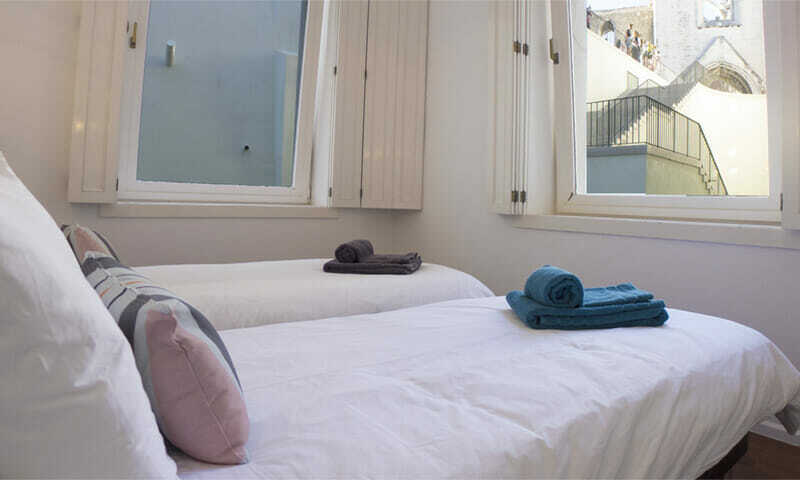 Visit the beaches of Estoril in less than 35 minutes, or go to the romantic Sintra village in 40-45 min using the convenient nearby railway stations of Rossio and Cais do Sodré.